I will be glad when we stop hearing Russiagate conspiracy theorists say “wait for Mueller to finish.” What will they say if he finishes and still has provided zero evidence to support their claims? Hopefully they will be satisfied with the overwhelming evidence that Trump is a crook, and drop the Russia conspiracy theories about the 2016 election–but I doubt it. Regardless of whether she should have faced charges, she should not have been a major party candidate for president. 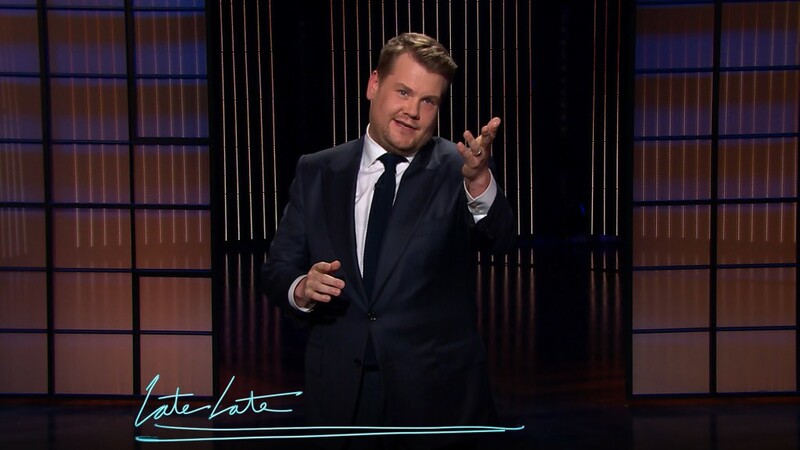 This was far more a slap on the wrist than a shallacking for Donald Trump. The Senate map was undoubtedly very unfavorable for Democrats, but it will be so virtually every year as long as Democrats are unable to come up with a message to win in the smaller states beyond the east coast. The system of giving two Senators to each state regardless of size makes the Senate extraordinarily unrepresentative. Still, don’t be tempted to repeat the memes showing up since the election regarding winning the popular vote. They are misleading as the entire nation did not vote for Senate, and this can be tilted by which states do vote. This was especially true in 2018 as California had two Democrats running for Senate due to a system where the two leaders in the primary get on the November ballot regardless of party. This leads to a tremendous number of Democratic votes if the mythical Senate popular vote is counted, but only one Democratic Senator. Democrats are always far quicker to list off the problems which make it more difficult to win than to change their strategy. They showed once again that moving to the right in the hopes of attracting Republican votes does not work. Nor did recruiting veterans help them do any better than expected. I would prefer to see Democrats be more consistent in supporting a reduction in the role of government in the private lives of individuals–an attitude which might make defense of reproductive rights part of a consistent philosophy that might be accepted in the more libertarian minded portions of the country. Taking a rational anti-war line, as opposed to acting as if they are apologizing for appearing weak on national security, might also help in those areas which are hurt by perpetual warfare–and rejected Hillary Clinton in 2016. This does note mean that the Democrats don’t have many valid complaints, including regarding voter suppression and gerrymandering. Some of the election results will help, including increasing their strength in several state governments before the next redistricting. While the high profile races in Florida did not turn out as hoped (how badly did campaigning with Hillary Clinton hurt Andrew Gillum? ), but there was a victory in passing a ballot initiative to restore voting rights to convicted felons who have served their time. While Democrats continued to struggle in Florida and Ohio, their hopes for Pennsylvania, Michigan, and Wisconsin being more blue in 2018 look favorable after Tuesday’s results, including the defeat of Scott Walker in Wisconsin. Besides possibly giving the Democrats their electoral votes again in 2020, there might be an increased number of representatives as the heavily gerrymandered system of drawing Congressional districts will be replaced by an independent redistricting commission in Michigan. Other ballot proposals passing in Michigan will make it easier to vote and legalized marijuana for recreational use. Newly elected Governor Gretchen Whitmer is looking at legislation or issuing executive orders to free prisoners convicted for marijuana related charges which will no longer be crimes after the ballot proposal passed. I did hold my nose and vote for Whitmer, despite her reliance on dark money and financing by Blue Cross Blue Shield of Michigan. Action such as this will make me happier that I did so. A judge has already put some new marijuana cases on hold. Medicaid expansion passed in Idaho, Nebraska, and Utah, and is also expected in Kansas due to the victory for a Democratic governor. While there is no chance of it becoming law imminently, there are also more Democratic supporters of Medicare for All in the House. There were victories for various groups. The media has covered extensively how there are more women and people of color in the House. In addition, seven more scientists were elected to the House–all Democrats as the Republican war on science continues. It remains to be seen how some issues will play out now that the midterms are over. Are we still supposed to be terrified by the caravan? Donald Trump quickly took advantage of having control of the Senate by firing Jeff Sessions. I never would have guessed that I would see this as a bad thing when Sessions first became Attorney General. On the one hand, Sessions might have been the worst Attorney General in history. On the other hand, Sessions was absolutely right in his dispute with Trump in recusing himself from Mueller’s investigation, and his firing could be a sign that Trump plans to take action against Mueller. I suspect that Mueller has prepared for this by being ready to turn over evidence of financial crimes committed by Trump and his cronies to state prosecutors. Congressional Democrats will also be able to take over the investigation if needed. Hopefully they concentrate on Trump’s financial crimes and obstruction of justice, as opposed to the dubious conspiracy theories popular among many Democrats blaming Russia for Hillary Clinton’s loss. 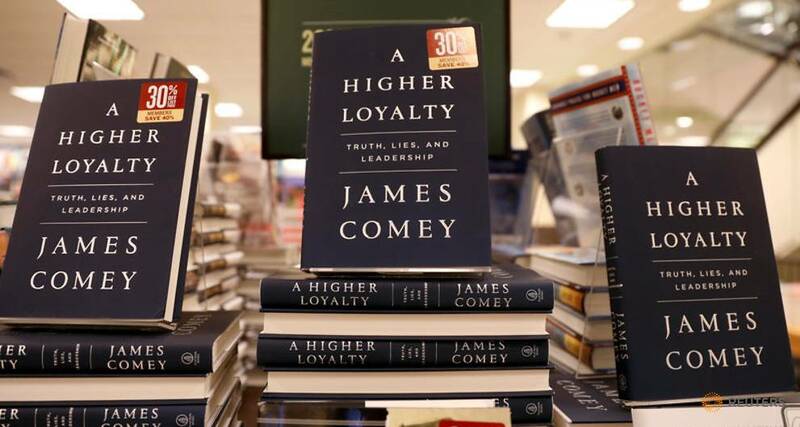 After getting a copy of James Comey’s book, A Higher Loyalty, I couldn’t resist skipping past the material from earlier in his career and get to the sections on Clinton and Trump. His views of Trump and his reasons for his statements on Clinton have been dealt with in many media interviews over the past week, but I did find some selections worth quoting from Chapter 10, which deals with his investigation of Hillary Clinton. Though much has been made since of Hillary Clinton’s emails and the FBI’s investigation, the focus of the Bureau’s investigation is often lost. The criminal investigation was not centered on the fact that Secretary Clinton decided to use nongovernmental email to do her work. In an attempt to blur the seriousness of the case, her defenders often cite the fact that one of her predecessors, Colin Powell, also used nongovernmental email, in his case AOL, as if that were relevant to the investigation. In fact, it entirely misses the point. I have never seen any indication that Powell discussed on his AOL account information that was classified at the time, but there were numerous examples of Secretary Clinton having done so. Our investigation required us to answer two questions. The first question was whether classified documents were moved outside of classified systems or whether classified topics were discussed outside of a classified system. If so, the second question was what the subject of the investigation was thinking when she mishandled that classified information. Information is classified based on its potential for harm to the United States if it is disclosed. Information marked at the lower classification level of “Confidential” refers to information that can cause some damage to the security of the United States if released. Information labeled “Secret” refers to material expected to cause “serious” damage to national security. “Top Secret” information is material that, if disclosed, could be expected to cause “exceptionally grave” damage to the security of the United States. This system is enforced by a variety of possible administrative punishments, including possible loss of a person’s security clearance or loss of their job. For the most serious cases, criminal prosecution is a possibility. A variety of espionage statutes make it a felony to steal or to disclose national security information to people not permitted to receive it. Those statutes are used most often when someone is a spy or gives classified information to journalists for publication. More commonly used is a statute making it a misdemeanor—punishable by up to a year in jail—to mishandle classified information by removing it from appropriate facilities or systems. Even with the misdemeanor, the Department of Justice has long required that investigators develop strong evidence to indicate government employees knew they were doing something improper in their handling of the classified information. In Secretary Clinton’s case, the answer to the first question—was classified information mishandled?—was obviously “yes.” In all, there were thirty-six email chains that discussed topics that were classified as “Secret” at the time. Eight times in those thousands of email exchanges across four years, Clinton and her team talked about topics designated as “Top Secret,” sometimes cryptically, sometimes obviously. They didn’t send each other classified documents, but that didn’t matter. Even though the people involved in the emails all had appropriate clearances and a need to know, anyone who had ever been granted a security clearance should have known that talking about top-secret information on an unclassified system was a breach of rules governing classified materials. Although just a small slice of Clinton’s emails, those exchanges on top-secret topics were, by all appearances, improper. Put another way, there were thirty-six email chains about topics that could cause “serious” damage to national security and eight that could be expected to cause “exceptionally grave” damage to the security of the United States if released. The heart of the case, then, was the second question: What was she thinking when she did this? Was it sloppy or was there criminal intent? Could we prove that she knew she was doing something she shouldn’t be doing? It makes sense that Comey did not recommend prosecution–if you go by this standard. While Clinton did mishandle classified information (and had previously lied about this), I would agree that she did not intend to compromise the security of the United States. However, people lower than Clinton who had treated classified information in this manner would be far less likely to receive such consideration if investigated. The history of that provision strongly indicated that Congress in 1917 meant the statute to apply only to conduct that was very close to willful—that is, driven by bad intent—and members of Congress who voted for it back then were very concerned that they not make merely careless behavior a felony. I was told that the Department of Justice had only charged one person under this statute since 1917—a corrupt FBI agent whose conduct was far worse than gross negligence—and no one had ever been convicted under it. This context strongly reinforced my sense that the statute simply did not apply in the Clinton email case and made use of the term “grossly negligent” inappropriate and potentially confusing, given the old statute. So I directed our team to consider other terms that more accurately captured her behavior. After looking at multiple drafts, I settled on “extremely careless” as the best way to describe the conduct. By Clinton’s account, she was unsophisticated both about technology and security, used the personal account for convenience to avoid maintaining dual government and personal email accounts, and still didn’t consider the contents of the emails to be classified. Her lack of technological sophistication is evident in her memoir, What Happened, in which she seems to intimate that her private server in Chappaqua was protected from hacking because it was contained in a home guarded by the Secret Service. Hacking a server is done through the internet, not by breaking the glass in a basement window. She also said in her interview that she believed she and her staff had successfully “talked around” sensitive topics, a method of operating made necessary by the State Department’s poor communications infrastructure, which didn’t provide secure and reliable email and phone for her and her senior staff. There was some truth to this, but although frustrating to her team, it didn’t change the rules around classified information. Also in her interview, Clinton said she delegated the review and deletion of her emails to others, believed they were only deleting purely personal emails, and had no knowledge of any efforts to obstruct justice. After discussion and careful review of her answers, there was nothing in her comments that we could prove was a lie beyond a reasonable doubt. There was no moment when investigators caught her in a lie. She did not at any point confess wrongdoing or indicate that she knew what she had done with her emails was wrong. Whether we believed her or not, we had no significant proof otherwise. And there was no additional work the investigators thought they should do. This case was done. Now the American people needed to know what the FBI had found. We do know that the deleted email did contain non-personal material, such as discussions of Iraq and Libya, due to finding examples of deleted email from the other party involved. Imagine if you or I had email subpoenaed, reported that half was deleted because it was personal, and tried to explain this by saying we don’t understand computers and someone else had handled the deletions. 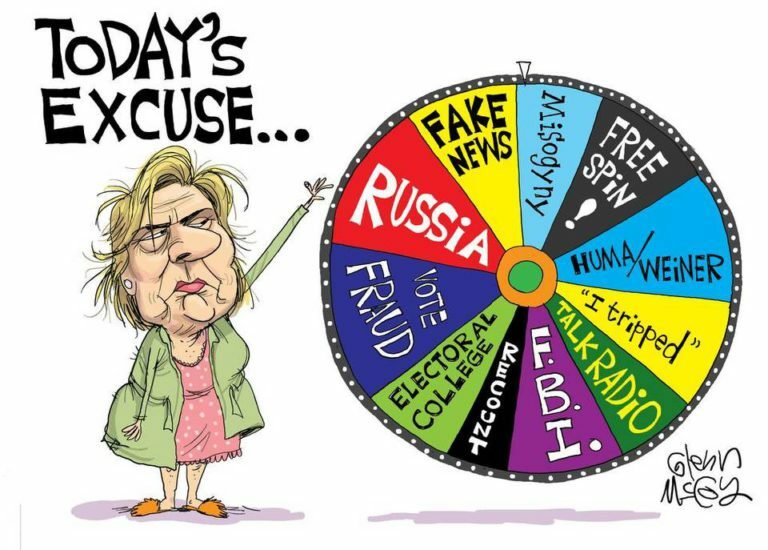 I just don’t believe such excuses would be accepted from people not as powerful as Clinton. “Why would I do that?” I asked. “Just call it ‘a matter,’” came her answer. It occurred to me in the moment that this issue of semantics was strikingly similar to the fight the Clinton campaign had waged against The New York Times in July. Ever since then, the Clinton team had been employing a variety of euphemisms to avoid using the word “investigation.” The attorney general seemed to be directing me to align with that Clinton campaign strategy. Her “just do it” response to my question indicated that she had no legal or procedural justification for her request, at least not one grounded in our practices or traditions. Otherwise, I assume, she would have said so. I did what my boss ordered me to do. I said “matter.” As expected, the press uniformly missed the distinction and reported that I had confirmed the existence of an investigation. From then on, I called it by its true name—we had an open “investigation” and I wouldn’t comment on it any further. Until I had to, many months later. Contributing to this problem, regrettably, was President Obama. He had jeopardized the Department of Justice’s credibility in the investigation by saying in a 60 Minutes interview on October 11, 2015, that Clinton’s email use was “a mistake” that had not endangered national security. Then on Fox News on April 10, 2016, he said that Clinton may have been careless but did not do anything to intentionally harm national security, suggesting that the case involved overclassification of material in the government. President Obama is a very smart man who understands the law very well. To this day, I don’t know why he spoke about the case publicly and seemed to absolve her before a final determination was made. If the president had already decided the matter, an outside observer could reasonably wonder, how on earth could his Department of Justice do anything other than follow his lead? The truth was that the president—as far as I knew, anyway—had only as much information as anyone following it in the media. He had not been briefed on our work at all. And if he was following the media, he knew nothing, because there had been no leaks at all up until that point. But his comments still set all of us up for corrosive attacks if the case were completed with no charges brought. The other question commonly raised regarding the investigation is whether Clinton is justified in using the statements from Comey as an excuse for losing the election. While I am not getting into excerpts from Comey regarding his statements in this post, I did recently discuss why Clinton and not Comey is to blame for Clinton losing the election here. There should be little controversy as to the main headline coming out of James Comey’s interview with George Stephanopoulos. Donald Trump is morally unfit to be president. The more questionable claims are coming from Clinton supporters who have used this as an opportunity to repeat the absurd claims that James Comey is responsible for Hillary Clinton losing the 2016 election. This is wrong on many levels. The biggest problem with this is that James Comey would not have been investigating Clinton in the first place if she had not grossly violated the rules regarding the use of email, as was verified by the State Department Inspector General’s report, and hadn’t handled classified information in a careless manner. The investigation further hurt Clinton as Comey’s report demonstrated that she had repeatedly lied in her public statements about the matter. This gave further credence to her reputation of both seeing herself above the law and of being dishonest. She further hurt herself when she repeatedly lied about what James Comey had reported. Hillary Clinton, not James Comey, is ultimately responsible for any problems caused by the email investigation. The Democratic Party also shares the blame after rigging the nomination for Clinton despite the evidence as to how weak a candidate would be (even beyond the ethical questions surrounding their behavior). This was like if the Republicans had nominated Richard Nixon after the public knew about Watergate. The email scandal also highlighted Clinton’s long-standing weaknesses, including her dishonesty and acting like the rules which apply to everyone else do not apply to her. Clinton’s own serious negatives balanced out Trump’s negatives. Clinton’s personal views and record also hurt her, including her record on trade and on foreign interventionism. 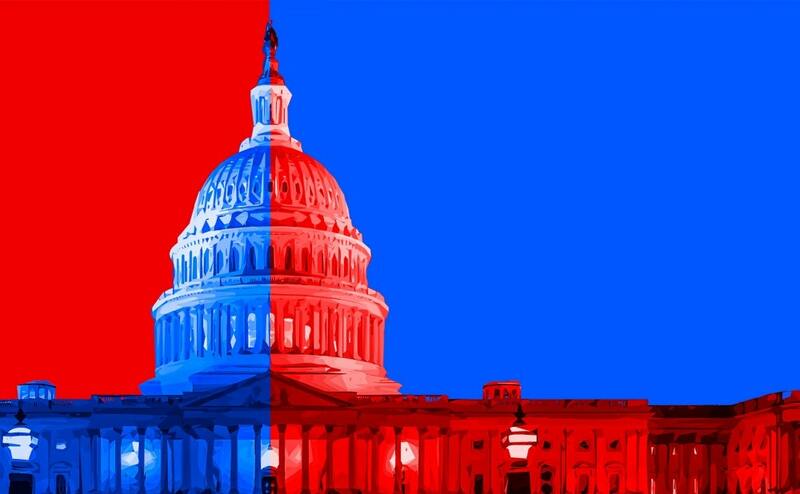 The 2016 election was pretty close to a fifty-fifty election, with a close popular vote and an electoral college vote which could have gone either way. The problem for Clinton’s argument is that the race should never have been this close in an election against a candidate as terrible (and morally unfit) as Donald Trump. The polls showed that nominating Clinton, as opposed to another candidate such as Bernie Sanders, meant giving up about ten percent of the vote. That was a costly choice by Democrats. “She has a legitimate beef because Comey’s letter was instrumental I think in her defeat, so in a narrow sense she is right about it,” Axelrod said. “But Jim Comey didn’t tell her not to campaign in Wisconsin after the convention. Jim Comey didn’t say don’t put any resources into Michigan until the final week of the campaign,” he continued. Axelrod then offered a piece of advice for Clinton. “If I were her, if I were advising her, I would say, ‘Don’t do this. Don’t go back and appear as if you’re shifting responsibility.’ … She said the words ‘I’m responsible,’ but the — everything else suggested that she doesn’t really feel that way,” he said. In its effort to explore reasons for the large percentage of late-deciding voters who chose Trump, the report examines a central Clinton claim: that FBI Director James Comey’s letter to Congress on Oct. 28 of last year, stating that the bureau had discovered additional evidence related to Clinton’s use of a private email server while serving as secretary of state, might have tipped the race. The report does not find evidence the Comey letter was determinative. Unfortunately there will continue to be Clinton apologists who will not face the fact that Clinton lost because of being a horrible candidate, who could not obtain a major party nomination for president in a fair campaign, and who went on to run a terrible campaign. Blaming others, whether it is James Comey, Russia, or any of the many others Clinton has tried to blame, does not change this. It’s being reported that a former doorman at a Trump building in New York was paid $30,000 to keep quiet about a rumor that Trump fathered an illegitimate child with his housekeeper in the 1980s. A secret illegitimate child. I don’t believe it. Finally, something Trump didn’t want to put his name on. The FBI has raided the office and hotel room of Donald Trump’s personal attorney, Michael Cohen. Cohen was allegedly involved in a payoff to Stormy Daniels along with having a major role in Trump’s attempts to build a Trump tower in Moscow. The F.B.I. raided the office and hotel room of President Trump’s longtime personal lawyer, Michael D. Cohen, on Monday, seizing business records, emails and documents related to several topics, including payments to a pornographic film actress. Federal prosecutors in Manhattan are investigating Mr. Cohen for possible bank fraud, and the documents identified in the warrant date back years, according to a person briefed on the search. The Cohen raids required high-level authorization within the Justice Department. Under regulations governing the special counsel’s work, Mueller is required to consult with Deputy Attorney General Rod J. Rosenstein if his team finds information worth investigating that does not fall under his mandate to examine Russia’s interference in the 2016 election. Rosenstein, as the acting attorney general supervising Mueller’s work, has the responsibility of deciding whether to expand Mueller’s mandate to include the new topic or to refer it to a U.S. attorney’s office. 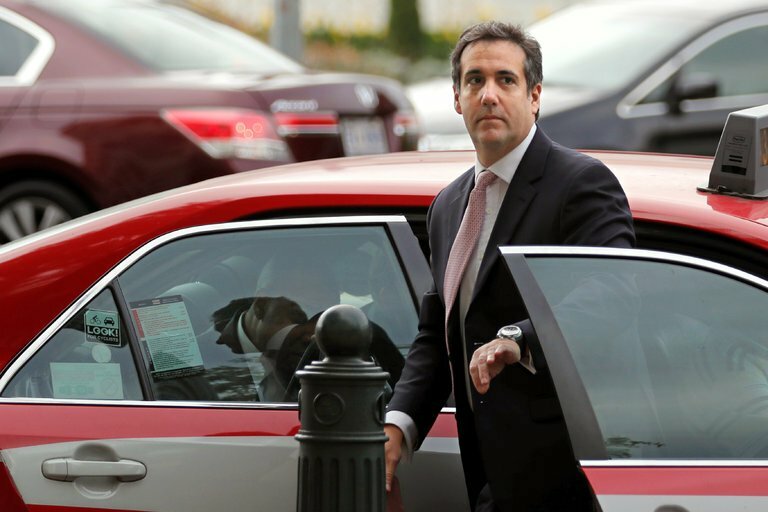 Since Cohen is a practicing attorney whose communications with clients are considered privileged, federal prosecutors would have been required to first consider a less intrusive investigative tactic than a search warrant before executing the raids. To serve a search warrant on a practicing attorney, federal prosecutors are required to obtain approval from top Justice Department officials. That means the acting U.S. attorney in Manhattan, Geoffrey S. Berman, who was appointed to his role by Sessions in January, as well as Justice Department officials in Washington, probably signed off. The U.S. Attorney’s Manual says prosecutors “are expected to take the least intrusive approach consistent with vigorous and effective law enforcement when evidence is sought from an attorney actively engaged in the practice of law.” If a FBI raid is the “least intrusive,” one can only imagine the seriousness of the crimes. This is definitely not an act which could have been conducted by rogue prosecutors, or something done by anti-Trump partisans. Popehat has more on the review process which would have been necessary to approve this raid. The Trump administration has shown a strange level of inconsistency towards scandal. On the one hand, former Secretary of Health and Human Services Tom Price was quickly fired over the use of private jets. Former Veterans Affairs Secretary David Shulkin was supposedly fired over European travel, although that appears to have been an excuse to get rid of him over disagreements over privatizing the VA. On the other hand, we are seeing an unprecedented level of corruption and conflicts of interest between business relationships and government positions involving Trump, his family, and others in his administration. 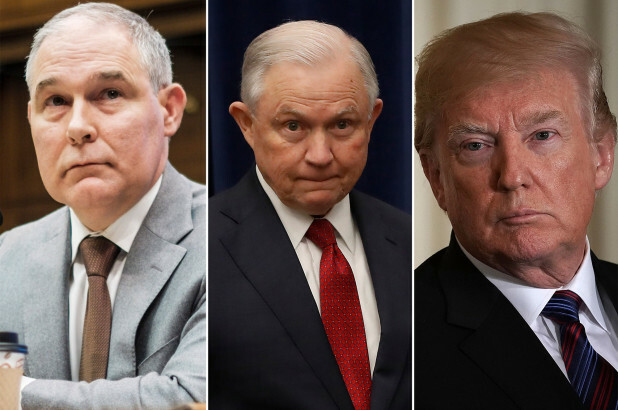 President Donald Trump floated replacing Attorney General Jeff Sessions with Scott Pruitt as recently as this week, even as the scandal-ridden head of the Environmental Protection Agency has faced a growing list of negative headlines, according to people close to the President. “He was 100% still trying to protect Pruitt because Pruitt is his fill-in for Sessions,” one source familiar with Trump’s thinking told CNN. Though the President has, at times, floated several people a day for multiple positions in his administration that are already occupied, the proposition reveals just how frustrated Trump remains with Sessions because of his decision to recuse himself from overseeing the Russia investigation more than a year ago, while signaling how confident he has remained in Pruitt despite a dizzying number of ethics issues. The irony is that, while Sessions is wrong on virtually everything, the one decision where he did the right thing was recuse himself from the Russia investigation. NPR has reported on many of the ethical scandals Pruitt is involved in here. Special counsel Robert S. Mueller III informed President Trump’s attorneys last month that he is continuing to investigate the president but does not consider him a criminal target at this point, according to three people familiar with the discussions. In private negotiations in early March about a possible presidential interview, Mueller described Trump as a subject of his investigation into Russia’s interference in the 2016 election. Prosecutors view someone as a subject when that person has engaged in conduct that is under investigation but there is not sufficient evidence to bring charges. The special counsel also told Trump’s lawyers that he is preparing a report about the president’s actions while in office and potential obstruction of justice, according to two people with knowledge of the conversations. Mueller reiterated the need to interview Trump — both to understand whether he had any corrupt intent to thwart the Russia investigation and to complete this portion of his probe, the people said. The most frightening news for Trump (if he was paying attention) is confirmation that Mueller will write out a report, even before his full investigation is complete, likely making the case that Trump has obstructed justice. That could then be made public by Deputy Attorney General Rod J. Rosenstein and used by Congress — in all likelihood only if Democrats win one or both chambers — to commence impeachment proceedings. Trump might not be a target because Department of Justice policy is that a sitting president cannot be indicted. There is also no guarantee that Trump’s status will remain the same. Mueller could take Trump’s statement (in which it is very possible Trump will commit perjury), and then turn around and say that he is now a target. Even if Trump remains safe from being a target of criminal prosecution, this might only apply while he is still in office. 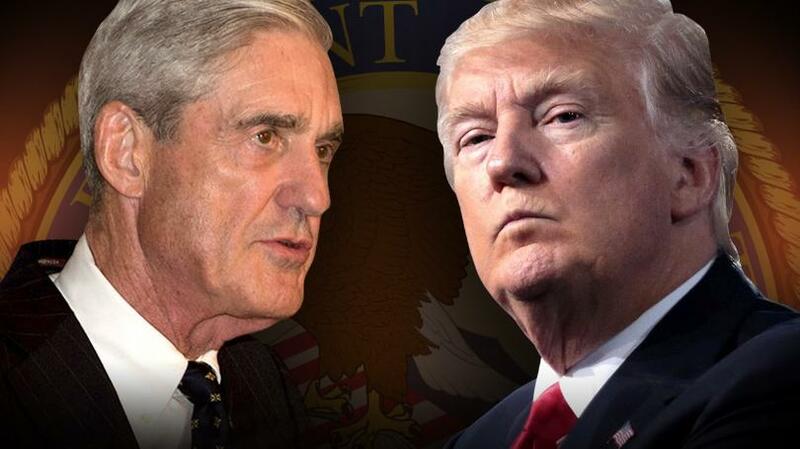 If Mueller is planning to prepare a report which it sounds like could accuse Trump of obstruction of justice, this could also be used by Congress to both further investigate Trump and initiate impeachment proceedings. Of course this is unlikely to matter unless the Democrats take control of the House. While there remains no evidence to support Clinton’s claims of collusion between Trump and Russia which altered the election results, there are plenty of matters which could be uncomfortable for Trump, including money laundering, tax evasion, and obstruction of justice. If Congress takes up such investigations, this could also lead to the public release of those tax returns which Trump has been trying so hard to hide. More at Outside The Beltway, Vox, and Popehat.